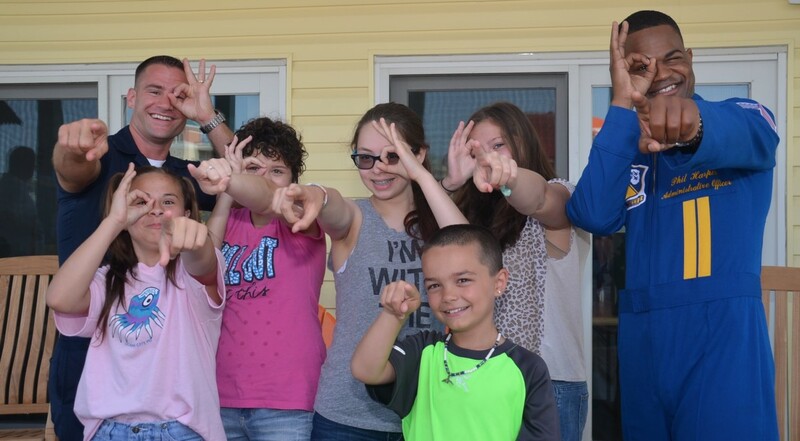 Whether at our homes in the mountains of Deep Creek, MD, and Pinnacle Falls, NC, or on the beaches of the Atlantic Ocean, families in our Respite Housing Program enjoy cozy accommodations and an endless list of fun activities. However, a resource that many participants don’t anticipate is one they often find the most valuable; the opportunity to meet other families of a critically ill child. 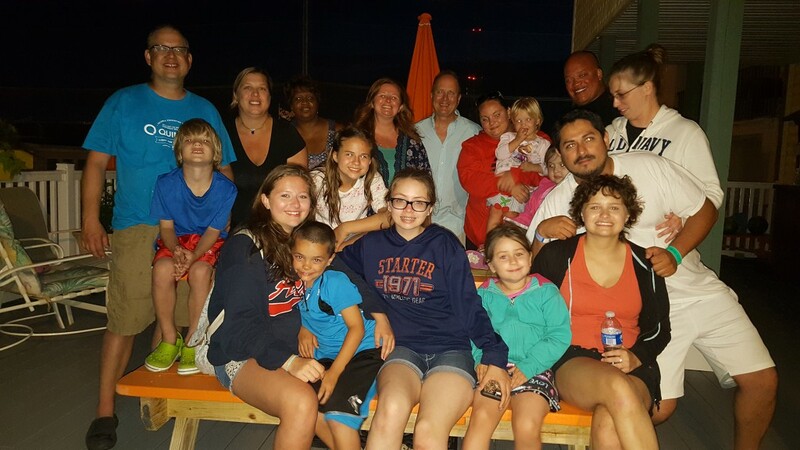 The second week in June was a busy time in Ocean City, MD. 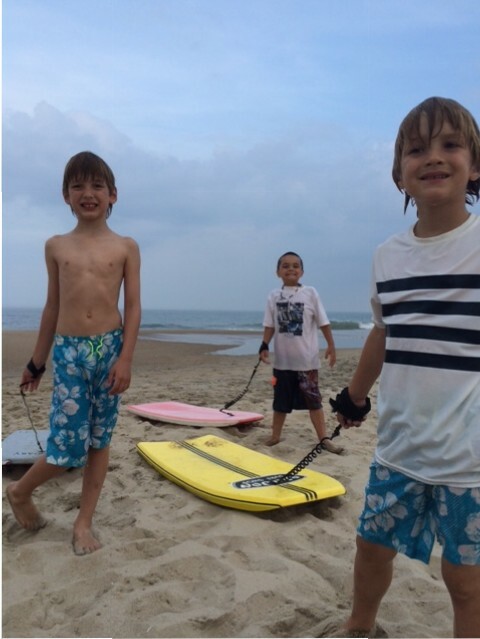 All five units of our oceanfront condominium, the Children’s House by the Sea, were booked, and we welcomed the arrival of great beach weather. The town was bustling with excitement for the Annual Ocean City Air Show. 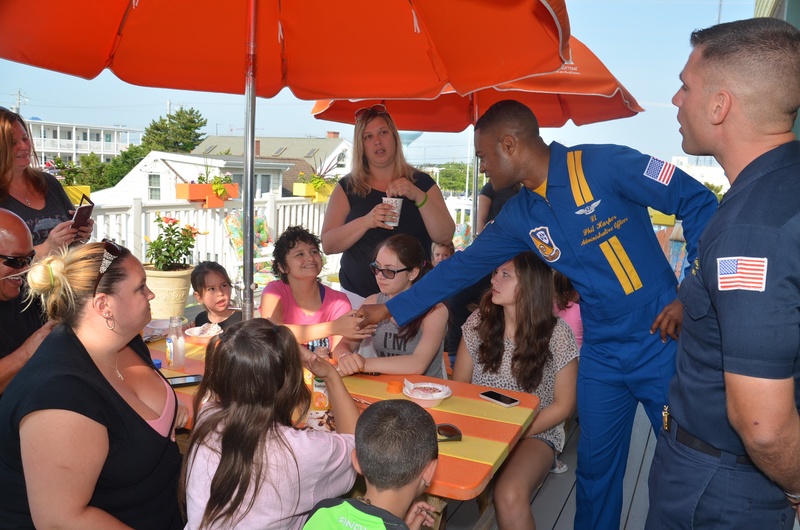 With a bit of luck in coordination, we set up a special breakfast for the pilots of the U.S. Navy Blue Angels at the Children’s House by the Sea. For another family, it was a surprise encounter that made the week remarkable. Five-year-old Olivia Cooper was diagnosed with Wilm’s Tumor and just finished treatment at Johns Hopkins Hospital. “It took us all a second to recognize one another, because the last time the girls had seen each other, neither had hair,” Olivia’s mother Marina remembers. The Coopers were happy to see Catherine Reid and her family at the house. 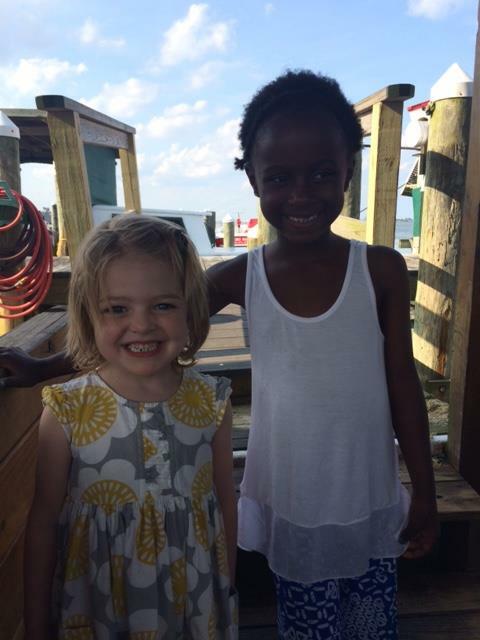 Catherine and Olivia share the same oncologist, and the families had met each other in the waiting room at Johns Hopkins Hospital. Believe In Tomorrow’s programs are meant to help critically ill children look beyond an illness, but our services benefit the entire family. Participants remember fun activities like bumper boats, surf lessons, or fishing, but the real value of our programs is intangible. Our mission statement reads: We believe in keeping families together during a child’s medical crisis, and that the gentle cadence of normal family life has a powerful influence on the healing process. Along these lines, we also believe all families who enter our programs also become part of our family, the Believe In Tomorrow Family.